Microbes are often very small, even in comparison to microscopic cells from animals. Microbes are generally described as being microscopic in size. Therefore, they are smaller than a human eye can see. The size of microbes can be hard to imagine because they are so small. In comparison to animal cells, microbes tend to be smaller. They are about 1/10th the size of a typical human cell. Microbes are generally measured in the scale of one millionth of a meter, which is known as a micrometer. protozoan: Any of the diverse group of eukaryotes, of the phylum Protozoa, that are primarily unicellular, existing singly or aggregating into colonies, are usually nonphotosynthetic, and are often classified further into phyla according to their capacity for and means of motility, as by pseudopods, flagella, or cilia. macroscopic: Visible to the unassisted eye. A Microbe versus Animal Cell: The large spheres are tick cells. The purple bars and dots are the bacterium Rickettsia rickettsii, which is the causative agent of Rocky Mountain spotted fever. 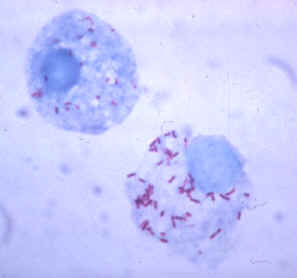 Rickettsia rickettsii is a small bacterium that grows inside the cells of its hosts. These bacteria range in size from 0.2 x 0.5 micrometers to 0.3 x 2.0 micrometers. Microbiology is the study of microbes. The name of the field is driven by the tool that largely determines if something is a microbe. Basically, microbiology is the study of organisms that one needs to use a microscope to visualize. Of course, there are exceptions. There are types of microscopes that visualize to the atomic level, which is significantly smaller than microbes. Alternatively, there are single cell organisms, such as some types of green algae and some protozoans that are generally studied by microbiologists. These are macroscopic or view-able without a microscope. Ventricaria ventricosa: Ventricaria ventricosa is one of the largest known unicellular organisms. They about the size of a ping pong ball. The size of microbes can be hard to imagine because they are so small in comparison to what most people see day to day. Even in comparison to animal cells, microbes tend to be smaller. They are about 1/10th the size of a typical human cell. So, a microbe such as a bacteria cell would be the size of a cat or small dog in comparison to a human-sized animal-cell. Viruses are about 1/10th the size of other microbes such as bacteria. Therefore, if a bacteria is the size of cat, then a virus would be about the size of a mouse. To put a numerical value on microbial size, most measurements of microbes are done with the unit of measure of micrometer, which is one millionth of a meter (one 2,500th of an inch). In relation to something more tangible a period or “. ” is about 0.5 millimeters or 0.5/1,000th of a meter. A typical microbe would be about 1/500th of a period. Of course there are exceptions. Some unicellular organisms studied by microbiologists are macroscopic. This includes Valonia ventricosa, which can be up to 5 cm in length. 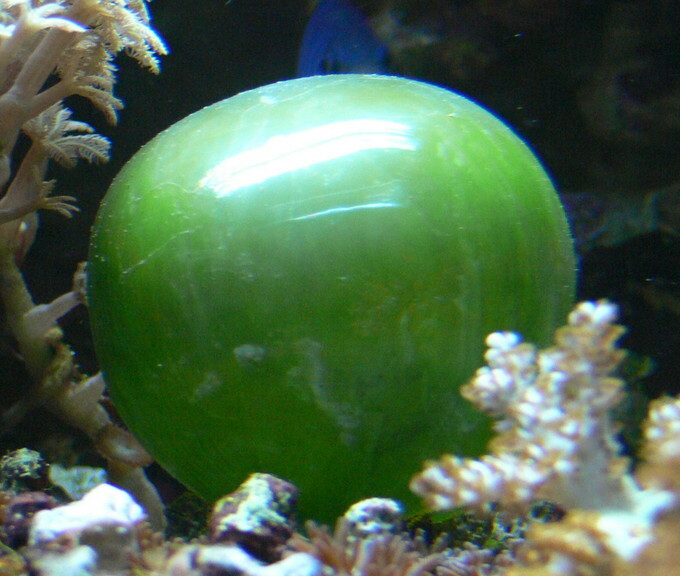 It is a member of the Chlorophyta phylum which are a sub-group of green algae. Many types of green algae are not microscopic, but they are often studied by microbiologists.